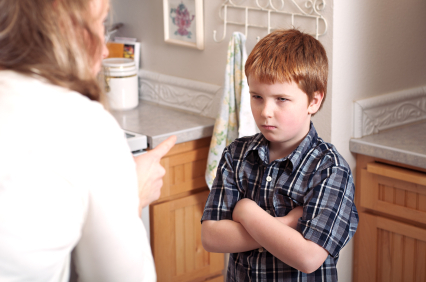 In most cases parents are the reason of bad behavior of the child. It is known because many parents have been affected by depression after giving birth. Which affects the baby. The matter has been reported in a report. If for some reason the mother or father is suffering from depression, it is revealed in some of her behavior. And this has an impact on the child. This involves less eye contact with parents and less laughs. In this, the distance of the parents is created with the child and the child becomes weak in social issues, which is expressed through their bad behavior. Many parents have a tendency to get confused, moody, anxious, depressed and crying after childbirth. These behaviors negatively affect the behavior and its impact on the child. For some reasons some mothers do not speak adequately with their child. They can not understand the child’s attitude or behave properly with him. This creates confusion among the child. This can often be understood by excessive looking away from the baby or by using extra tendency to finger the finger. 1. What is the feeling of being your parents? 2. Are you enjoying the children? 3. Is your child’s easy or difficult to keep? 4. How are the affairs of the family? 5. Do you get enough rest? 7. Is your mind good or bad? 8. Do you like doing the work before being a child? The child should be breast-fed regularly (this will improve the mother’s mental condition). If sadness is created for any other reason, it should be removed. Raising children will be happily with them. The importance of contact with the child is important. Always have to behave positively with the child and remove frustration and negativity.